Bob Weir and Phil Lesh’s Furthur continue to tour from coast to coast, the incarnation closest to the original Grateful Dead experience. 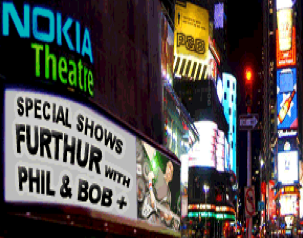 While there are haters and lovers of Furthur, all true deadheads can rejoice in seeing Bobby and Phil share the stage and make magic. To get a feel for where the band is at today, check out this show from Madison Square Garden from November 10th. 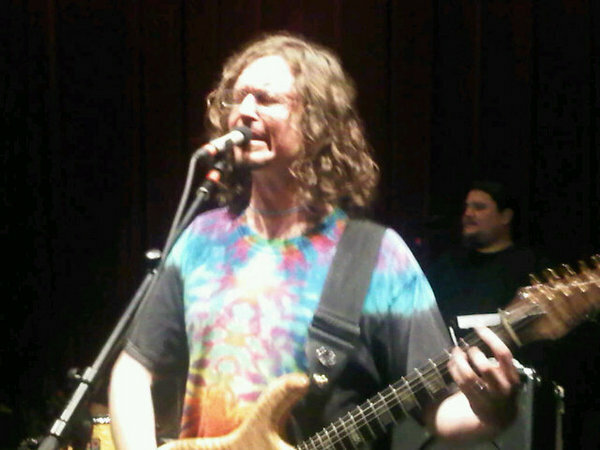 2012 Forecast: Furthur already has a spring tour booked, and will likely continue to tour at least through the end of 2012. 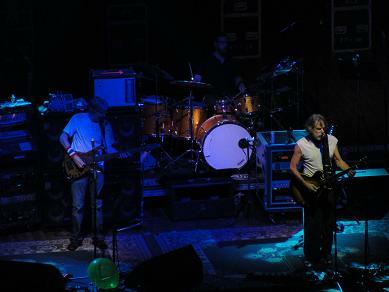 With more Phil and Friends shows in the works and a possible Ratdog reunion tour, 2012 may be a lighter touring year than 2011. 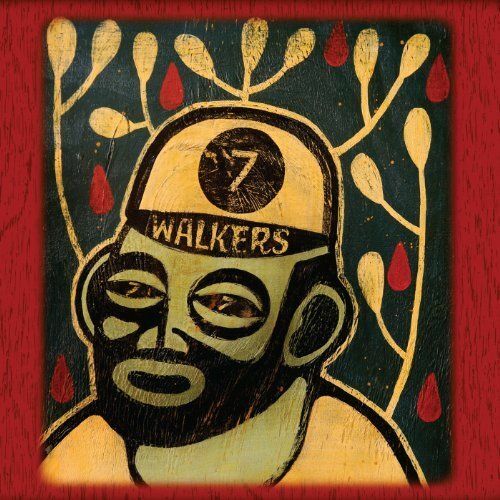 If you haven’t heard the debut album or caught a show from Billy K. and Papa Mali’s ‘7 Walkers’, do yourself a favor and check them out. This stripped down ensemble invented a whole new genre of Grateful Dead known to fans as ‘Swampadelica’. 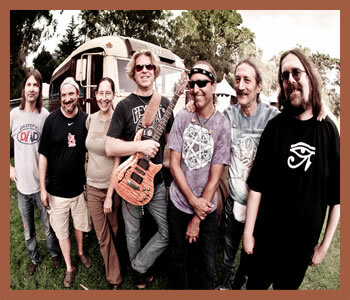 Their album is soulful, bluesy, fun, and a must have for deadheads. You can buy it from the official 7 Walker’s site here. 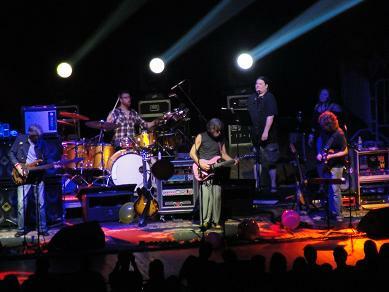 2012 Forecast: Next up for 7 Walkers is a series of shows with Steve Kimock aboard next week’s Jam Cruise. After that, look for continued dedicated attention and touring from Billy K. as well as a possible follow-up studio album. Mickey has put together a brand spanking new band for 2012 with a whole slew of new original songs taboot. Check out the YouTube above to see the cast of characters that Mickey has assembled. The band just recently finished up a winter tour that was pretty smoking from what I’ve heard. Let’s hope Mickey keeps this band around for a while and releases some of the great new originals they’ve composed. 2012 Forecast: Mickey and his new band already are still in the midst of a few January shows and then will likely be releasing an album of original material with a supporting tour to follow later in the year. 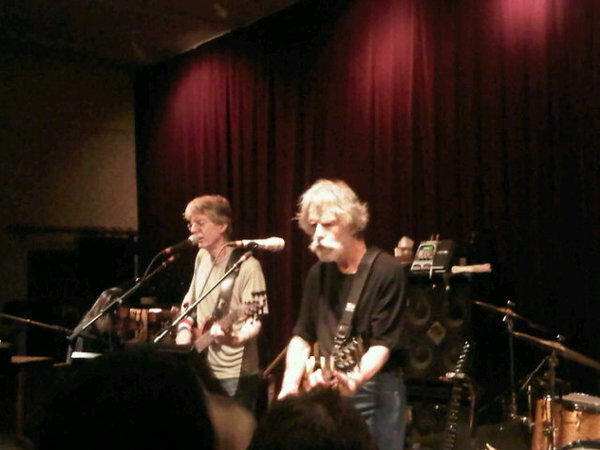 Phil Lesh reunited ‘Phil and Friends’ this year at Warren Haynes’ annual Christmas Jam. Check out the vid above of a playful China Cat Sunflower from the reunion. The Xmas Jam group featured Jackie Greene, Warren Haynes, Jeff Chimenti, Joe Russo, and of course uncle Phil himself. This was just a preview though, Phil and Friends will be playing 3 shows in Colorado in February of 2012 with an amazing lineup of John Scofield and Warren Haynes on Guitar, Jackie Greene on Keyboard/Guitar, John ‘The Lion King’ Molo on Drums, and Phil. These shows promise to be nothing short of epic. 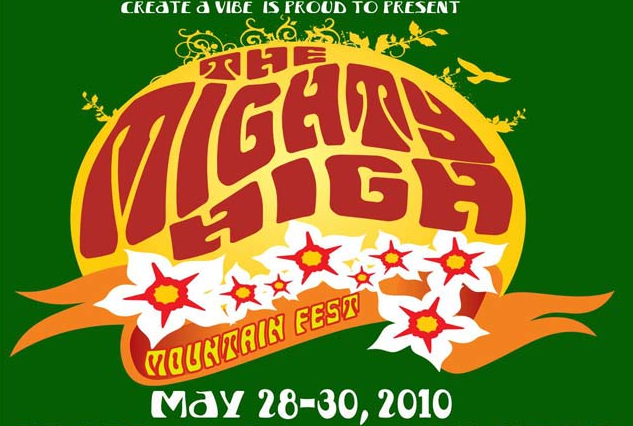 To get a feel for what the shows might be like, check out the vid below of a very similar band featuring Warren and Sco from Mountain Jam 2007. I was at this show and it is probably my favorite P&F show ever out of many, many shows I’ve seen. 2012 Forecast: Aside from the February shows, rumors have been swirling that Phil and Friends will crank out some more shows in 2012. Expect to see some one-off or mini-runs at Phil’s new Terrapin Crossroads venue. DSO continues to tour relentlessly, from New York to San Francisco to Jam in The Dam and beyond, bringing unmatched energy, passion, and love for the Grateful Dead canon to ‘Starheads’ everywhere. With Jeff Mattson firmly settled into the lead role in Dark Star, fans everywhere (including myself) can’t stop singing the praises of the new frontman and the raw 60s and 70s style psychedelic guitar work he brings to the band. 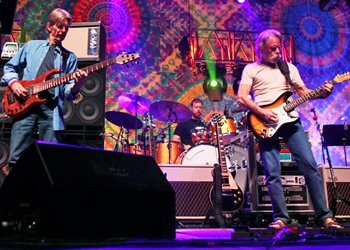 If you’re still a skeptic on Dark Star and think they’re just a ‘cover band’, stop fooling yourself and catch them on their upcoming tours, you will not be sorry! 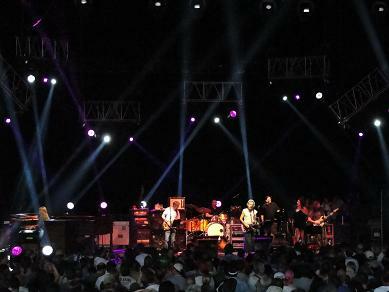 2012 Forecast: DSO is sure to keep up the relentless touring in 2012. So far the band is playing the NE and SE in the winter, Jam in the Dam in March, and the West Coast in April. Expect a NE and festival tour in the summer, West Coast in late fall, and a return to the NE for NYE 2012. 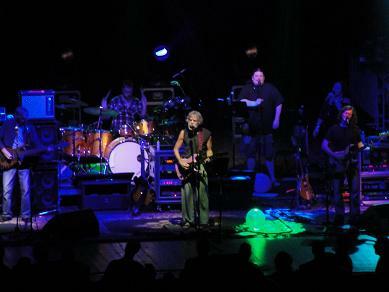 Bonus Dead: As if this wasn’t enough, RATDOG is reuniting on January 25th for a special webcast show from Bob Weir’s TRI Studios venue that he launched in 2011. The golden road really does go on forever, and there’s nothing to do but smile about it. 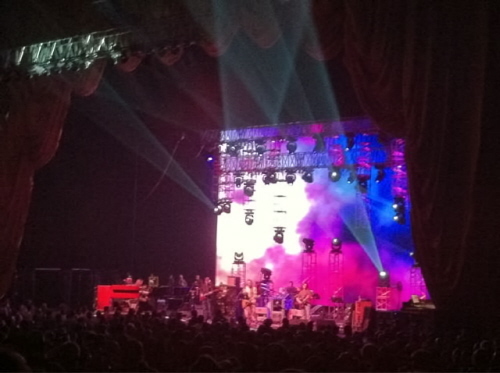 Keeping in the New York City spirit, here’s a taste of Furthur’s return to the big apple tonight. 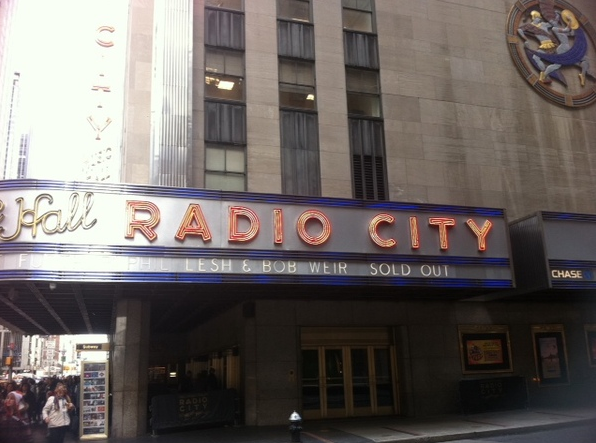 This was the first of 3 consecutive nights at Radio City Music Hall for the boys, and they delivered a fun and varied setlist for the NYC faithful. First set highlights included a 1st-time cover bustout of The Clash’s ‘Train in Vain’, and 60s folk throwbacks ‘Dark Hollow’ and ‘On The Road Again’. Furthur closed out the the main leg of their summer this evening with a big second night showing at the Mann Center in Philadelphia. Tonight’s 2nd set looks like a quite the patchwork quilt of rarities, deep cuts, and a solid heaping of psychedelic goodness – can’t wait to hear the tapes of this one! Note: Neither the “Lady With A Fan” or “Inspiration” parts of the Terrapin suite were performed. 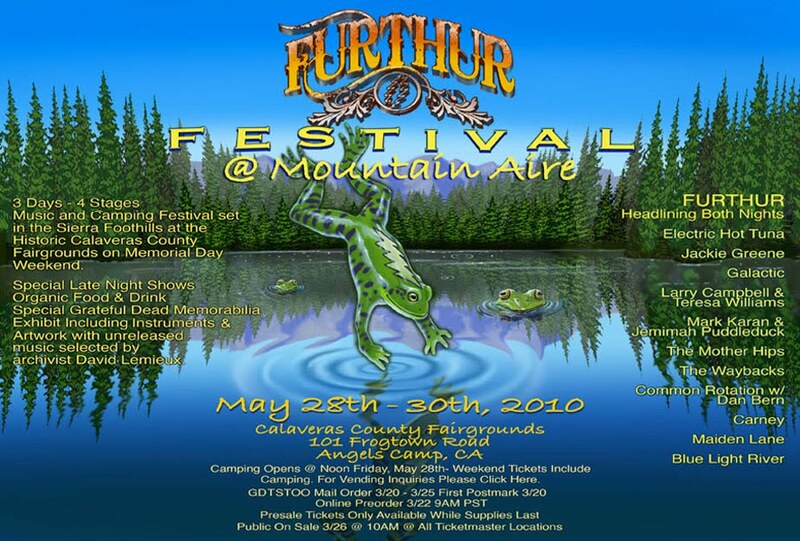 If you’d like to go Furthur, be sure to check out the Furthur Summer Tour 2010 Download Page where you’ll find setlists and downloads from every show of the tour! Furthur returns to the road later in the summer for 2 shows at the Nokia Theater in NYC on July 28th and 29th followed by a Friday night headlining gig at Gaterhing of the Vibes on Friday the 30th. 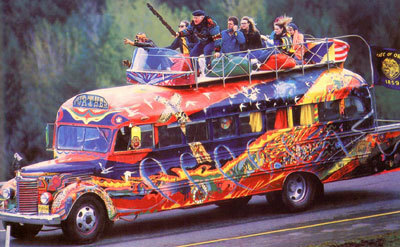 The Furthur tour bus just rolled into Philadelphia for a big 2 night run at the Mann Center. This pair of shows will close out the band’s June mini-tour of the east coast. Check live setlist updates below, and be sure to stop back in the coming days for videos and downloads as soon as they become available! 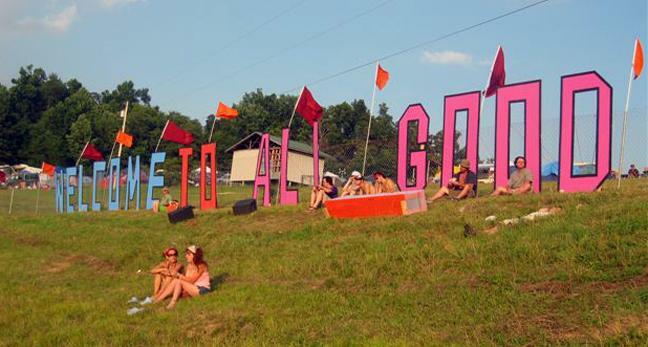 Continuing the 2010 Couch Tour, iClips.net will offer up a FREE live webcast of the All Good Music Festival, taking place this weekend, July 8-11th, on Marvin’s Mountaintop in Masontown, WV. The webcast will run all afternoon and evening on Friday, Saturday, and Sunday this weekend and, while the full webcast lineup/schedule is not yet announced, so far we know that DSO, WSP, Keller Williams, Everyone Orchestra, and P-Groove will all be shown at some point over the weekend! 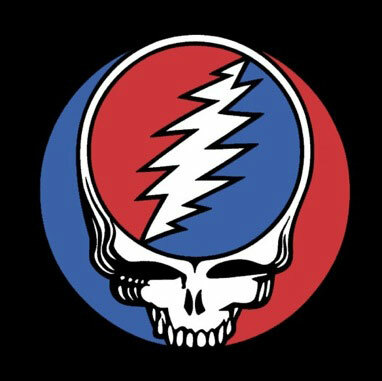 Other possible big names that may appear on the webcast include Furthur, George Clinton and P Funk, UM, YMSB, and Grace Potter. 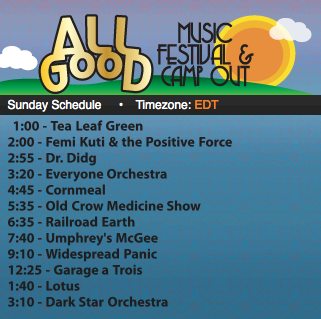 The full All Good Lineup can be found on the festival’s official site. You can catch the live webcast here, enjoy phans! iClips continues Couch Tour 2010 this weekend with live webcasts from the Nateva Festival all day Friday, Saturday, and Sunday. While the exact schedule is still TBD, likely artists to be webcast include Furthur, The Flaming Lips, moe., STS9, Passion Pit, Ghostland Observatory and many many more! This is Nateva’s inaugural event and all the great artists are sure to bring their A-Game – don’t forget to bring yours… So grab some brews, some friends, fire up the computer and stereo and get ready to throw down from the comfort of your own home. It’s July 4th weekend and it’s party time people! Memorial Day weekend 2010 is coming to a close, and oh what a weekend of music it was. Here’s a round-up of setlists, pics, and vids from the various festivals going down all over this great land. As downloads become available, they’ll be added here and also in the BRAND NEW DOWNLOAD LIBRARY (see link on left) so be sure to check back in the coming days… It’s officially summertime folks so take a vacation and fall out for a while, Summer’s coming in, and it’s goin’ outta style! Set 2: Aiko. Playing in the Band, Crazy Fingers, Uncle John’s Band, Drums, Two Soldiers Jam, Morning DEW, Lovelight. Furthur Festival got started with a bang last night with an All-Star Jam featuring (get ready): Phil Lesh, Bob Weir, Larry Campbell, Jeff Chimenti, Joe Russo, Mark Karan, Jackie Greene, Jorma Kaukonen, Jack Casady, and Teresa Williams. Phew! That cast of characthers definitly deserves ‘All Star Billing’. My one complaint – no John K. aka ‘Faux Jerry’ all night long, and Jackie Greene playing all set on Guitar, Bass, and Keys… In any case, I can’t wait to hear the recording of this one and downloads, vids, pics from the whole weekend will be posted as soon as available. 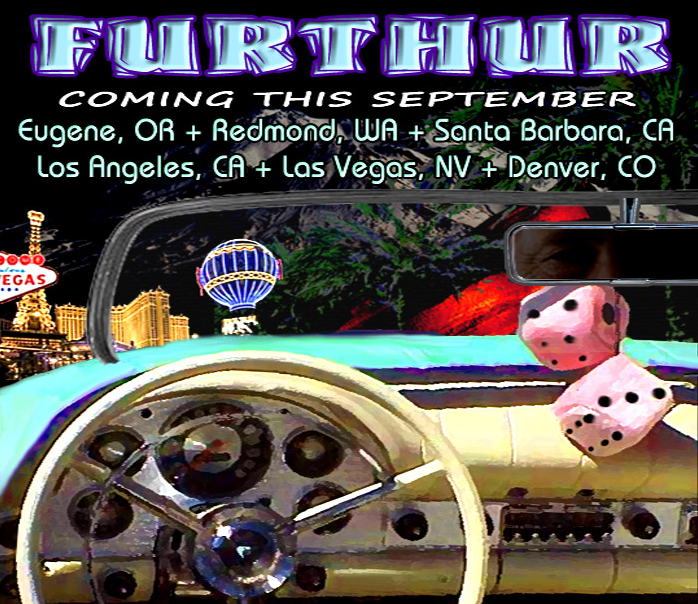 Get ready to go Furthur than you’ve gone before!